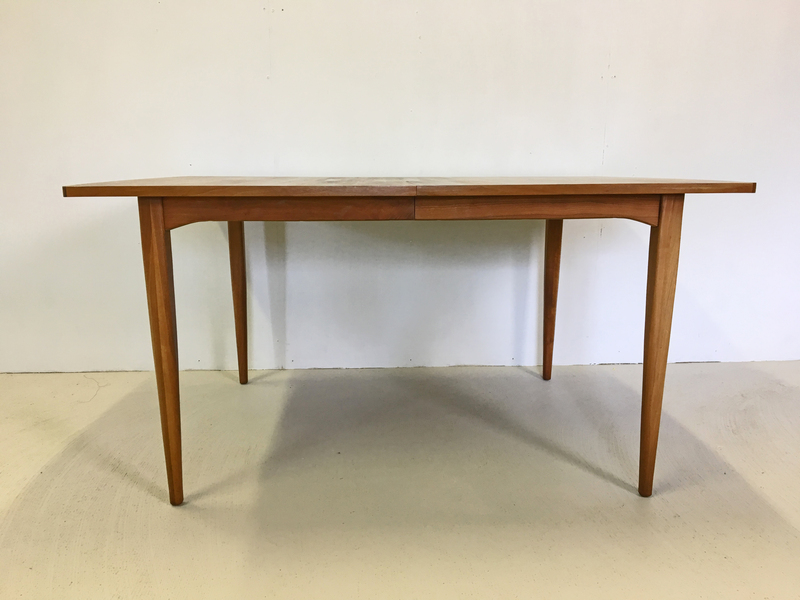 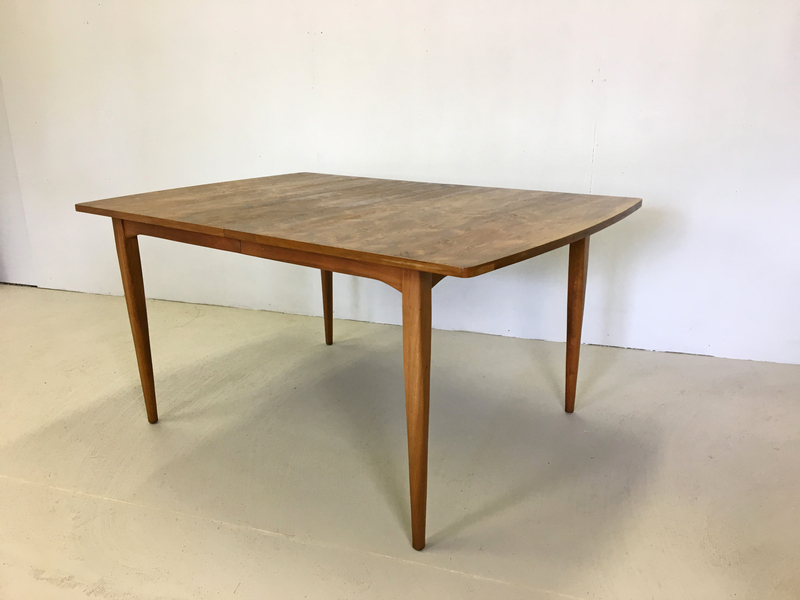 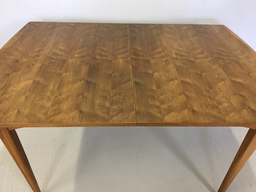 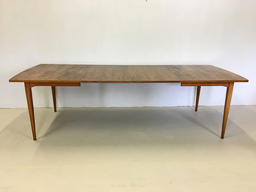 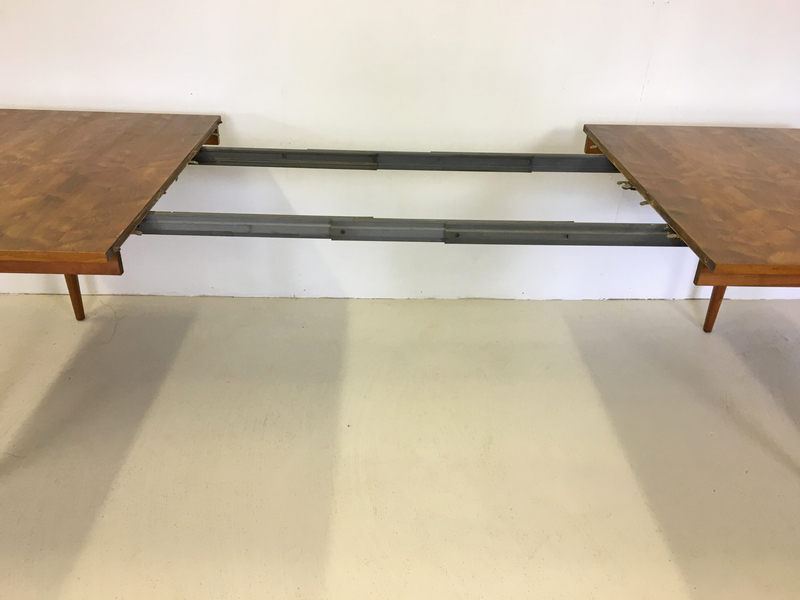 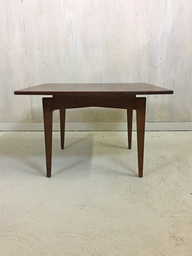 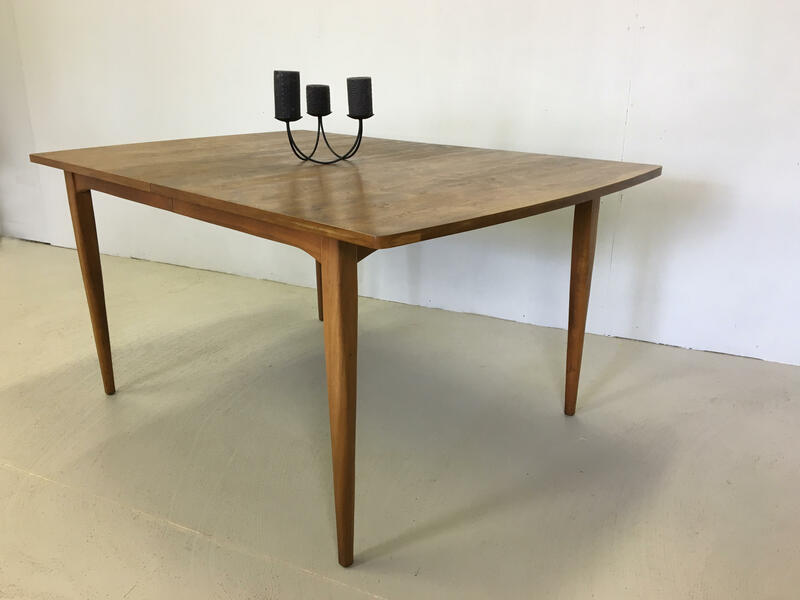 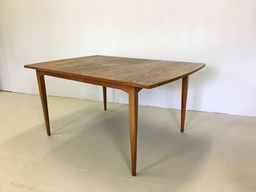 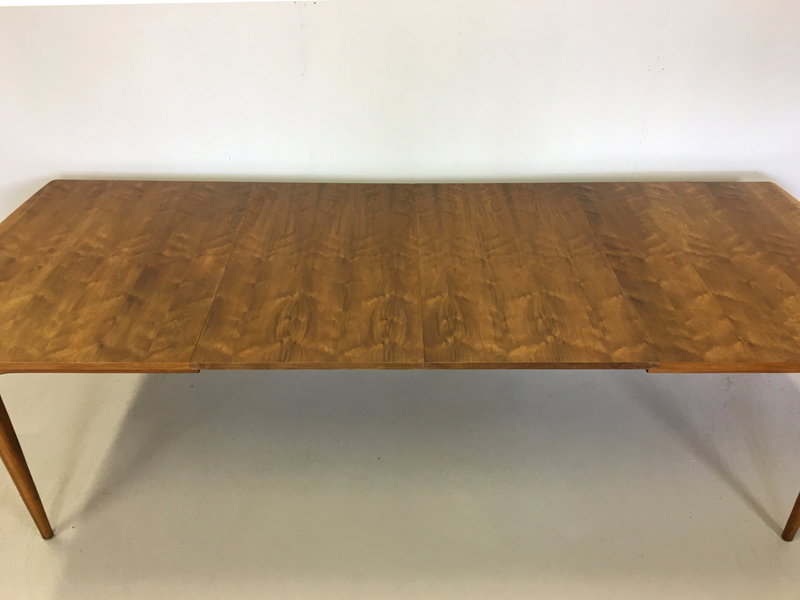 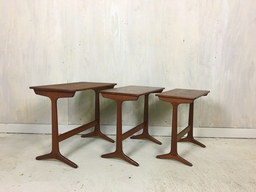 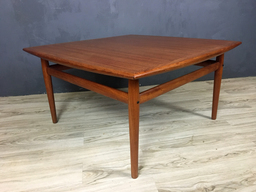 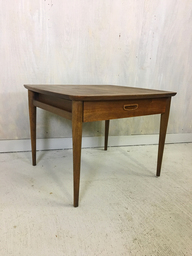 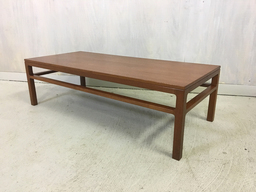 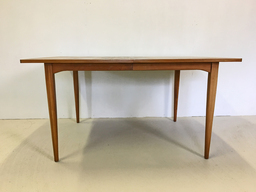 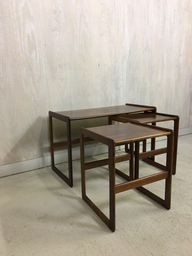 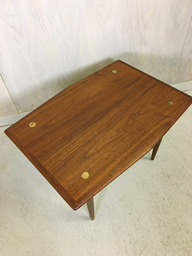 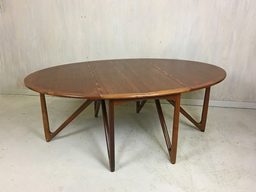 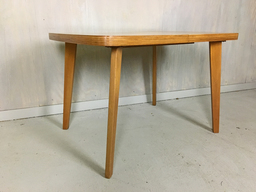 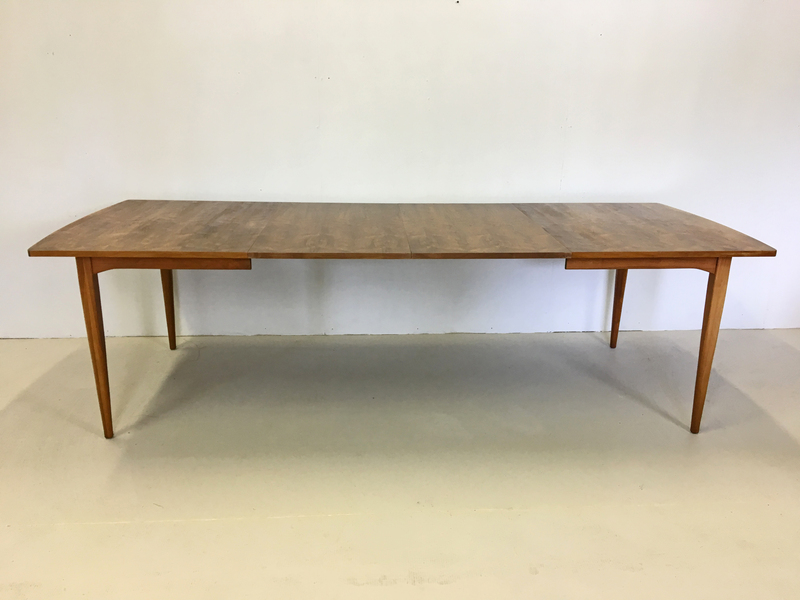 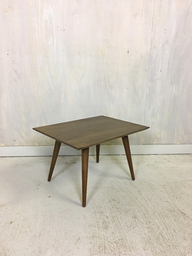 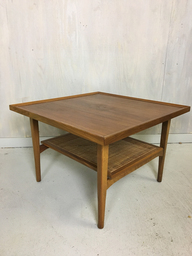 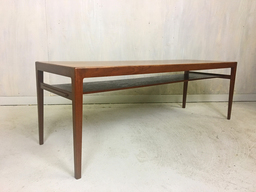 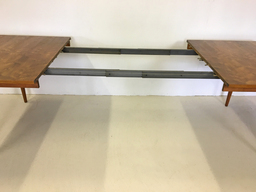 Simple and elegant, this mid century dining table with gently rounded ends and tapered legs was produced by Drexel for the Declaration line. 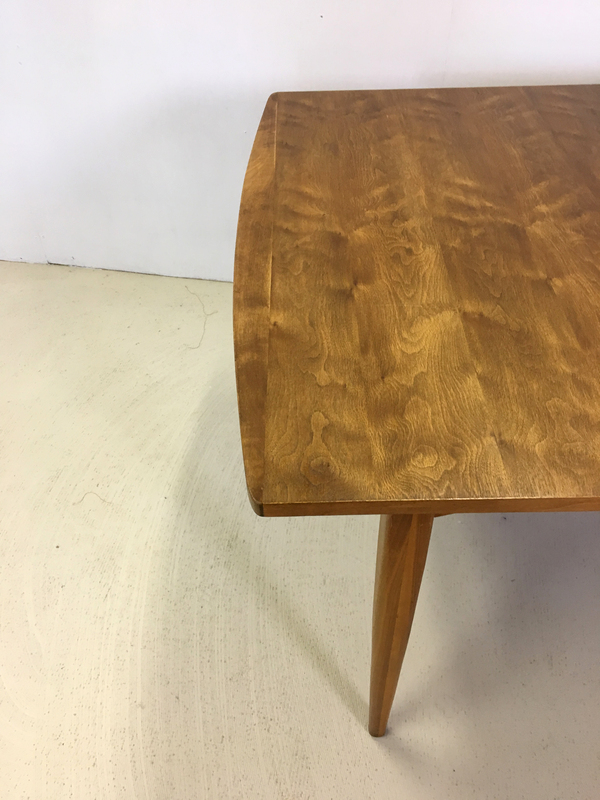 It features dramatic walnut grain and two 22” leaves. The table has been refinished to match the leaves which were hardly used and is in excellent condition.